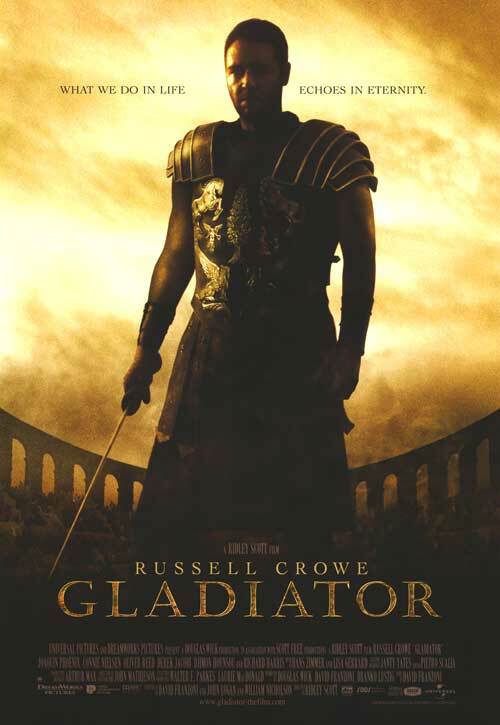 Synopsis: When a Roman general is betrayed and his family murdered by an emperor’s corrupt son, he comes to Rome as a gladiator to seek revenge. Did You Know? Oliver Reed died with three weeks of principal photography remaining. A clause in the insurance coverage allowed for his role to be recast; but most of the cast and crew were exhausted from the schedule, and Ridley Scott did not want to lose Reed from the movie. Therefore, the script was altered and CGI was used to give Reed’s character a plausible resolution. Quotables: LUCILLA: The mob is fickle, brother. He will be forgotten in a month. I do really love Gladiator, but I think that either Crouching Tiger, Hidden Dragon or Erin Brockovitch were more deserving of Best Picture. Russell Crowe is excellent in this film, but I much preferred Tom Hanks in Cast Away. Now Joaquin Phoenix should have won Best Supporting Actor; he was perfectly evil and slimy, cunning and cruel. However, Benicio Del Toro was very good in Traffic.